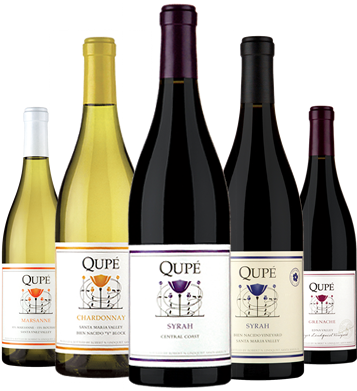 Charles Banks, the former owner of California cult winery Screaming Eagle, has bought a majority stake in Qupé in California, one of America’s top Syrah producers. Located in Santa Maria in Santa Barbara, Qupé specialises in Rhône-style red blends. The estate’s founder, Bob Lindquist, will stay on as winemaker and assume the role of partner. “I’m thrilled to work alongside a gifted winemaker and legend like Bob Lindquist,” Banks said in a statement. “Bob has been a steadfast visionary of Syrah for decades. Few have done as much as him to advance awareness for Syrah in the United States. “I have wanted to work on a meaningful Syrah project for a number of years now and Bob and I are confident that we can strengthen Qupé’s future allowing it to remain the benchmark in American Rhone-inspired wines,” he added. Lindquist learnt how to make wine in the late ‘70s at Zaca Mesa Winery, alongside Jim Clendenen of Au Bon Climat. Founded in 1982, Qupé will continue to share a winery with Au Bon Climat at the renowned Bien Nacido Vineyard, with Lindquist and Clenenden having brought their winery projects under one roof in 1989. Qupé joins Banks’ ever-expanding Terroir Selections portfolio, which includes Pinot producer Sandhi in the Santa Rita Hills, Mayacamas and Leviathan in the Napa Valley and Wind Gap in Sonoma. Outside of the States, Banks also owns Mulderbosch, Fable and Marvelous Range in South Africa and Maison L’ Oree in Burgundy. Bamks snapped up Screaming Eagle in 2004 with real estate magnate Stan Kroenke, but sold his share in the winery in 2009 to set up winery investment group Terroir Capital, leaving Kroenke as the sole owner.